NEW YORK -- Just four days after filming began on Dec. 17 for a movie about the life of hip hop legend Tupac Shakur, the recently-finished script was shown by an alleged hacker to an undercover federal agent. Authorities say Alonzo Knowles hacked into more than 100 email accounts of actors, athletes and media industry personnel, and attempted to sell information ranging from unreleased scripts and album tracks to social security numbers and a sexually explicit video. At a meeting in New York City with an undercover Department of Homeland Security agent on Monday, Knowles allegedly provided 15 unreleased scripts, four social security numbers and played a track from an unreleased album -- all items that authorities say he flew from the Bahamas to New York to sell for $80,000. During the meeting he also showed the agent another script, for what officials describe in court documents as "an upcoming hip hop artist biopic movie." 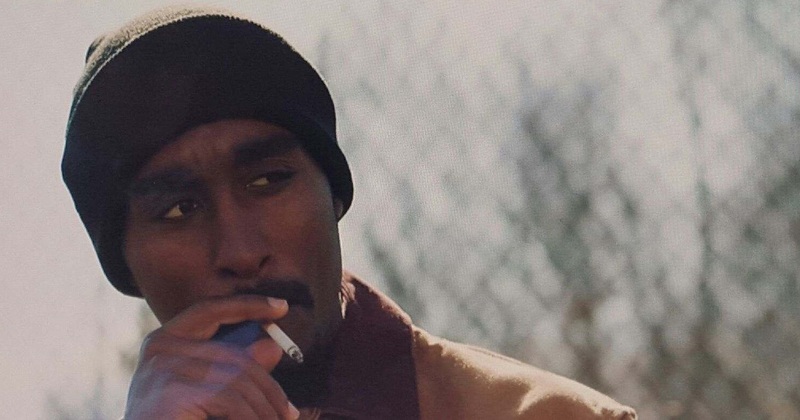 Greg Mielcarz, Executive Vice President of Marketing for Morgan Creek Productions, the studio making the Shakur biopic "All Eyez on Me," confirmed to 48 Hours' Crimesider Wednesday that the script was offered to a federal agent. The film, which stars Demetrius Shipp Jr., began filming Dec. 17 in Atlanta. Federal officials contacted Morgan Creek last week, according to Mielcarz. They said the email account of an actor involved in the film was among those hacked. Mielcarz said the script for a movie as high-profile as one about Tupac Shakur is often sought by fans, critics and "haters." "If it gets out there and every lay person can read the script and make judgement about it -- there are so many haters -- and when any movie script gets out people are critical," Mielcarz source said. The scripts and information allegedly offered by Knowles first came to officials attention in early December, when "a popular radio host" contacted the executive producer of a TV show, saying scripts of the show had been offered for sale. The radio host was also allegedly told that the "hip hop biopic" script was not yet finished, but would be available later in the month. The channel that airs the show contacted authorities, according to court documents. During the course of the next two weeks, an undercover agent got in contact with Knowles, who also used the name "Jeff Moxy," and had multiple meetings using FaceTime, according to court documents. During the meetings, Knowles allegedly showed scripts that were watermarked, said he had access to at least 130 celebrity and media email accounts, and agreed to send "a small tidbit" of a sexually explicit video taken from a celebrity. Officials say he infiltrated accounts using viruses and by hacking the friends of celebrities he was targeting, in order to get the celebrities' contact information. "Knowles stated that once casting is completed for a movie and Knowles finds out who is in the movie, it is 'easy' for him to get a script for the movie," an agent wrote in the court document. "Knowles claimed that he gets the scripts directly from the actors." On Dec. 15, after the agent and Knowles allegedly agreed on the deal to buy 15 scripts and other information for $80,000, Knowles allegedly emailed the agent to bring more money to their New York City meeting. "(Have) some extra cash on hand im willing to accept more than 100,000 if we negotiate pass that because i now got the (biopic script) as well and a few other scripts," he allegedly wrote in an email. Knowles was arrested Monday after the alleged meeting and charged with one count of criminal copyright infringement and one count of identity theft.